Is minimally invasive hammertoe surgery right for me? Do you have problems finding footwear that fits and is comfortable? Do you have pain in your toes or under the ball of your foot? Do you have callouses or corns on your toes? If you answered yes to these questions, it is likely you have a common deformity known as a hammertoe, similarly known as a claw toe, or mallet toe. 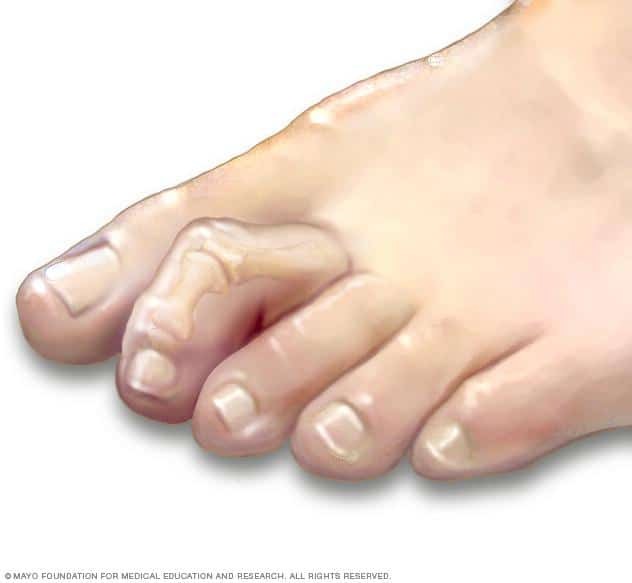 A hammertoe is a deformity of any of the lesser toes, whereby the digit becomes contracted while an imbalance occurs in the tendons and ligaments that support the toe’s position. Hammertoes can be caused by trauma, ill-fitting footwear, foot structure and genetics and certain disease processes. How does minimally invasive hammertoe surgery compare to traditional methods? Dr Andrew Knox uses a state of the art implant called the Smart Toe II for hammer toe correction. This revolutionary system requires no k-wires to be used during the surgery, meaning patients can expect faster healing times, better cosmetic results and eliminates the risk of nasty pin tract infections. Patients will spend significantly less time in a post-operative shoe and can transition back to regular foot wear at 2 weeks post-surgery. Patients who have minimally invasive hammertoe surgery using the Smart Toe II Implant can weight bear immediately post op in a splinted sandal. This is worn for 2 weeks then transition is made back to regular footwear. There is no need for removal of the implant as it remains permanently within the healed bone. 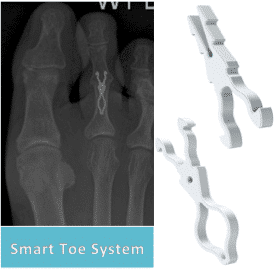 To see how the Smart Toe II Implant works in animation format, click the link below. If you believe you are suffering with a hammertoe, early consultation yields the best results. Book an appointment online or call 08 9383 3851 to speak with one of our friendly staff members.